WINNIPEG -- Manitoba's attorney general says his province is ready for its first transgender judge, and possibly the first transgender judge in Canada. Gord Mackintosh appointed Kael McKenzie to the provincial court last week. McKenzie has been a Crown attorney in Manitoba for five years, and also practised family, commercial and civil law before that. He received his law degree from the University of Manitoba in 2006. Mackintosh says the province has worked to increase the diversity of the bench over the past decade after expanding the criteria in 2002 to include not only professional excellence and community awareness, but also the diversity of Manitoba society. He says in addition to being transgender, McKenzie is also Metis. "Diversity is valued, along with the other qualifications for advancement to the bench," Mackintosh said on Sunday. "We had a number of qualified candidates. The fact that Kael is also transgender is exciting." "Manitoba is certainly ready for a transgender judge." A news release from the Manitoba government notes that McKenzie also served in the Canadian Forces, and has volunteered for organizations including the Canadian Bar Association, the Manitoba Bar Association, the Winnipeg Folk Festival, the North American Indigenous Games and Winnipeg's Rainbow Resource Centre. The release said McKenzie was selected by a list of candidates recommended by an independent judicial nominating committee, chaired by Chief Judge Ken Champagne. 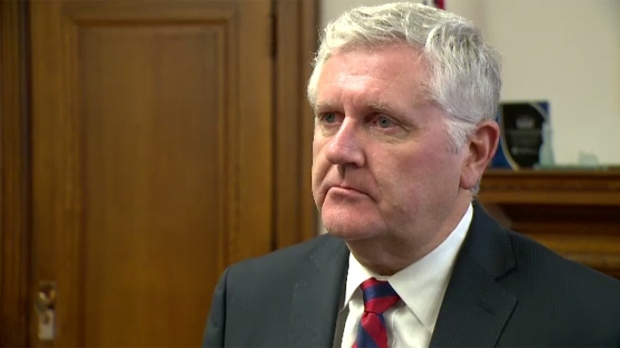 Mackintosh, who was also attorney general back when legislation was changed to require consideration of diversity for the bench, said the change recognized the provincial bench wasn't reflecting the face of Manitoba and needed to be strengthened. "That elevates the status of the court and its credibility among citizens, but it also strengthens insights that are available to the court," Mackintosh said.